At Wade Gordon Hairdressing Academy we give you more than a haircut, we give you an experience. Get the hair style you need to feel confident in your look and try one of our other professional services while you are at Wade Gordon Hairdressing Academy Student Hair Salon. Simple or cutting edge, get the best cut to accentuate your facial features and leave feeling confident. Bring out your natural beauty with a professional cut & style. Come in and look great, today. Wade Gordon Hairdressing Academy ensures that your kid’s cut is as stylish as yours. A shampoo, hair dry, and style of your choice. 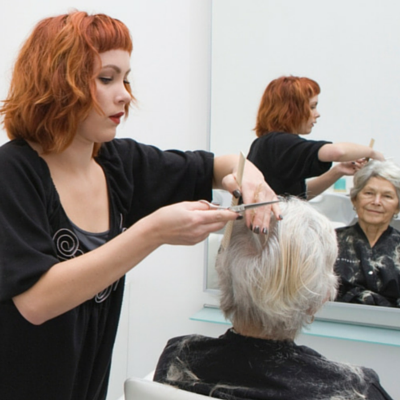 This service is free to potential students who book a tour of Wade Gordon Hairdressing Academy. Wade Gordon Hairdressing Academy offers Up-Do’s for proms, weddings, and any other occasion that requires a professional style. Wade Gordon Hairdressing Academy Student Salon offers deep conditioning to revitalize your hair for a healthy shine. Our student stylists are energetic and excited to work with you. They will consult with you about your vision for your cut and style. All services are supervised by an instructor. Once you are done with your cut, the student stylist will style your hair so that you can leave confident in your new look. Wade Gordon Hairdressing Academy teaches hairstyles and techniques from all around the world. You get a professional haircut at a low price, and they get the practical experience they need to succeed. When you come to the cosmetologists at Wade Gordon Hairdressing Academy, you’re not just getting a haircut, you’re enhancing their future. Schedule an appointment today by calling 806-331-9233.